The Way of Saint James is known by many names – the Chemin de Saint-Jacques, the Via Podiensis, the Pilgrims’ Trail or, more simply, the GR 65. It is just one of many long-distance walking paths which arrive in France from all corners of Europe, converging eventually in Saint-Jean-Pied-de-Port. For more than one thousand years, pilgrims gathered in this picturesque village (recently classified as one of France’s ‘most beautiful’) before heading out on a month-long journey across northern Spain to pay homage to the Apostle Saint James. Perhaps the most famous – and most popular – of all long-distance walks is the Spanish Camino which stretches 800 kilometres (500 miles) from Saint-Jean-Pied-de-Port to Santiago de Compostela in northern Spain. Statistics vary greatly but between 100,000 and 200,000 walkers set out each year to complete all, or part, of this trail which, confusingly, is often referred to as the Camino Frances – a reference to its starting point in Saint-Jean-Pied-de-Port nestled in the foothills of the Pyrénéan mountains of southern France. Legend has it (and this is the version that I like best) that after the death of Jesus, the twelve disciples cast lots to divide up the known world and determine where each of them would spread the gospels. James travelled to Iberia (now known as Portugal and Spain) but, disappointed by what he perceived as a lack of success, returned to Jerusalem some years later, where he was promptly beheaded on the orders of King Herod. Devastated by his death, two of James’ followers placed his body in a boat, which was guided by angels back towards Iberia. The boat washed ashore near Fisterra in northern Spain, where local villagers buried his body in a nearby forest. Eight hundred years later, the body was discovered by a hermit and declared by the Bishop of Iberia to be the remains of Saint James. A small church was erected to mark the spot. And so, the first pilgrimages began. For the devout people of France and northern Europe, a pilgrimage to northern Spain was much more manageable than a pilgrimage to Jerusalem. 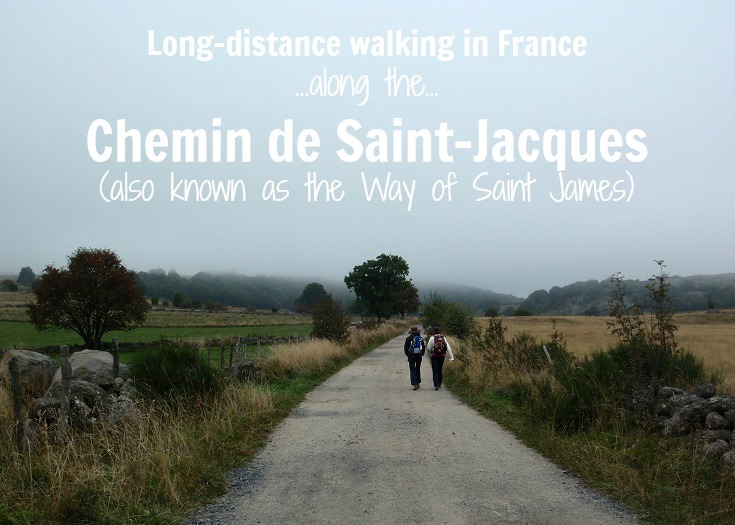 Over time, four main routes became established and today there are over 4,000 kilometres (2,500 miles) of paths, known collectively as the Chemins de Saint-Jacques, which attract walkers from all over France to the southern town of Saint-Jean-Pied-de-Port. From here they begin the journey across the top of Spain to where the relics of Saint James are now housed in the much grander cathedral of nearby Santiago de Compostela. The most popular of the four routes through France is the Chemin de Saint-Jacques du-Puy which begins in the Auvergne region in Le-Puy-en-Velay. 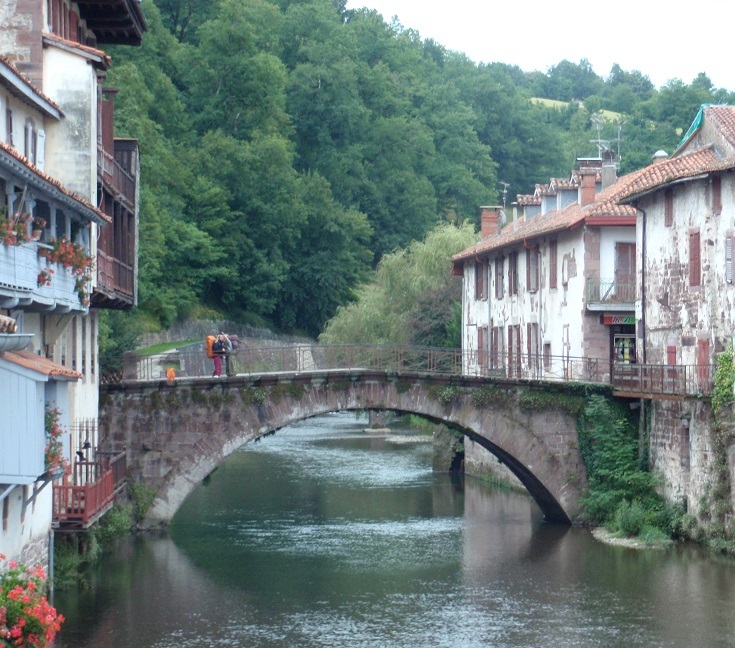 The first recorded pilgrimage from here to Saint-Jean-Pied-de-Port was made by Bishop Gothescale in the tenth century. Since then, many thousands of pilgrims have followed in his footsteps. Luckily for us modern-day walkers, a steady procession of pilgrims has resulted in a plentiful (in most cases) supply of accommodation and other infrastructure (okay, perhaps not a plentiful supply of toilets). 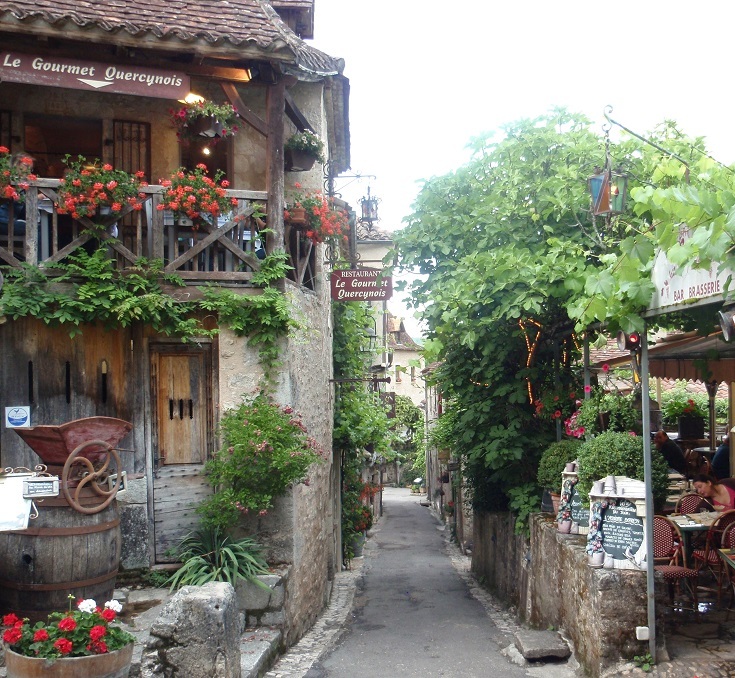 As you get closer to Santiago, competition for a cheap bed can be pretty stiff, but in France, you are unlikely to find yourself stranded or having to walk on to the next town. 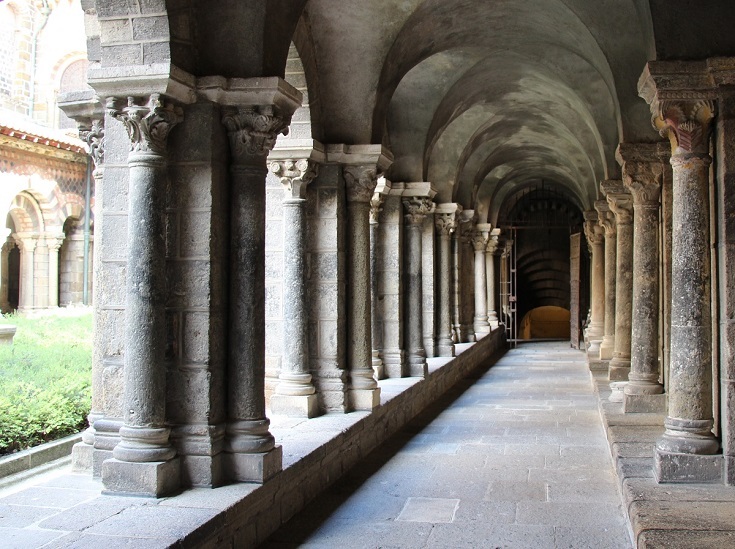 Nowadays, people walk the Chemin de Saint-Jacques for a variety of reasons—sometimes for the physical challenge, sometimes as a walking meditation, often for religious reasons—and in a variety of ways—alone, in a guided group, with friends, in short stages or in one huge concentrated effort. For me, it’s an opportunity to soak up some glorious scenery as I wander from one mouth-watering meal to the next. No matter how, or why, you go, you’ll find friends and a camaraderie that overcomes language barriers and other differences.